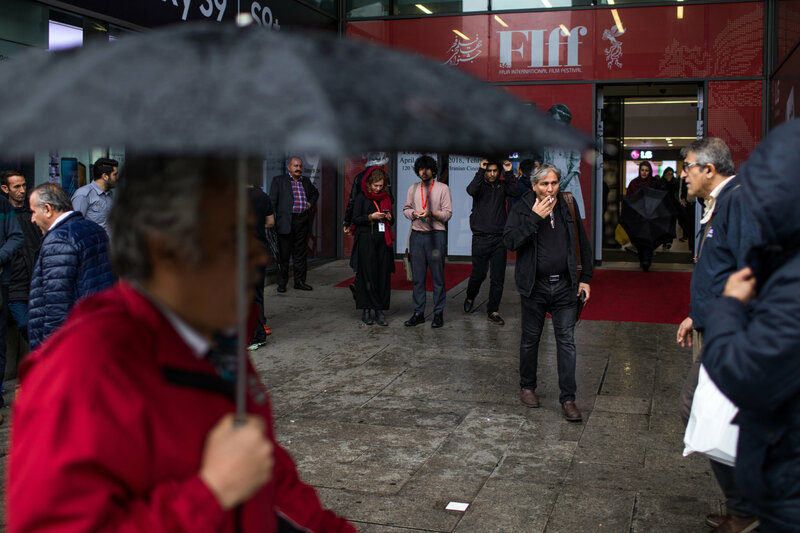 TEHRAN — As the veteran American director took the stage at Iran’s Fajr International Film Festival, the audience stood up, clapping and cheering. “You make it seem as if I’m dead already,” Mr. Stone, 71, joked. 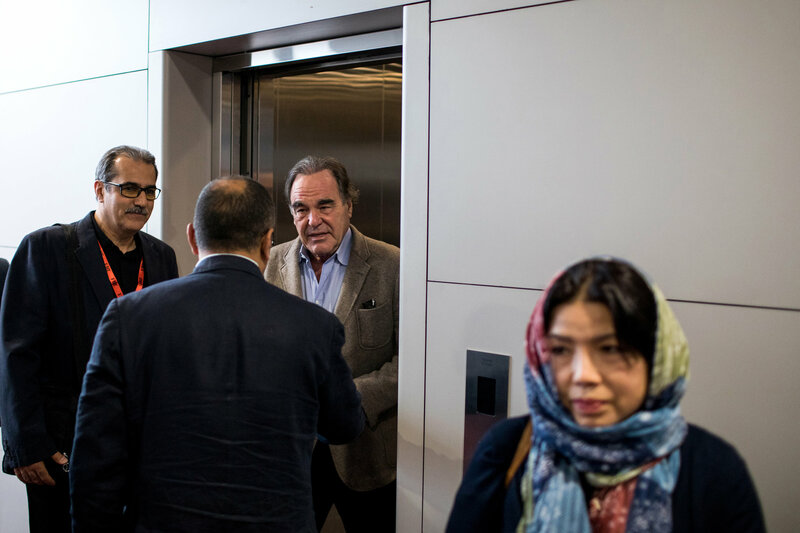 Typically, Iranian hard-liners try to prevent prominent Americans, even harsh critics of United States policies like Mr. Stone, from obtaining visas. But in his case other forces had prevailed. 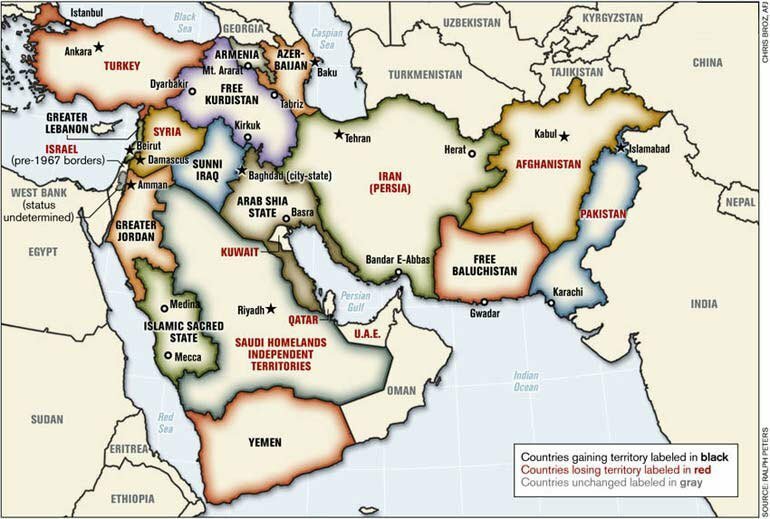 Iranian politics are divided by those opposing any approach to America and those who feel there should be an outreach. Now, the American was the guest of honor at an event that, like Iranian society, has undergone major changes in recent years. 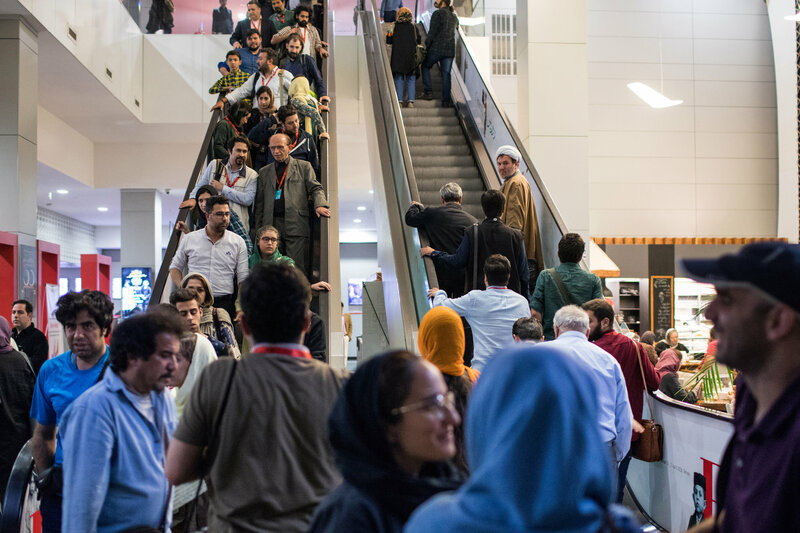 Established to celebrate the anniversary of the Islamic revolution, the festival has grown more independent, riding a wave of international prizes for Iranian films, including two recent Oscars. 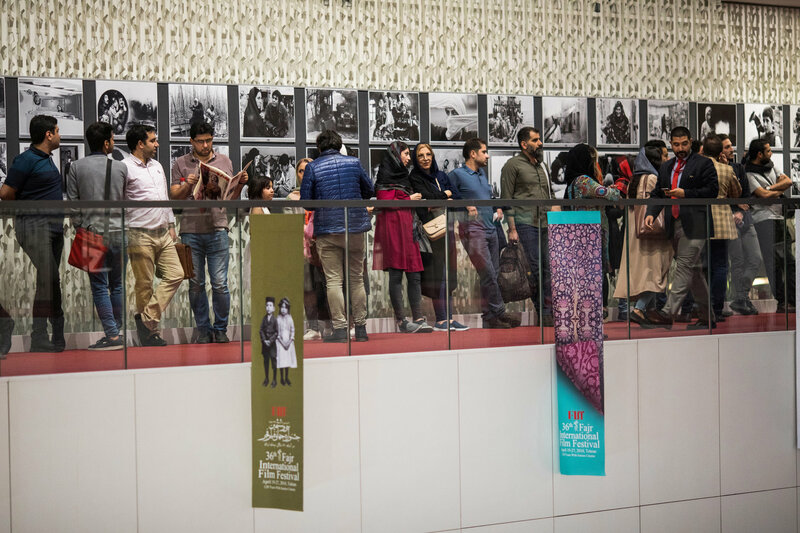 * * * More than 350 foreign guests, selected from hundreds of applicants, traveled to the Iranian capital to see 35 films have premieres at the festival, held in a modern shopping center in downtown Tehran. There were Russians, Indians, Georgians, Europeans, Iraqis, Syrians and others. Concerts of film music were held at some locations. Some people visited Tehran’s Cinema Museum or an exhibition of French art by the Louvre, while others made a pilgrimage to the city’s sprawling cemetery, where they paid respects to the martyrs of the Iran-Iraq war. Iran’s award-winning cinema is another example, Mr. Kianian said. Two of the director Asghar Farhadi’s films have won Academy Awards for best foreign language film — “A Separation” in 2012 and “The Salesman” in 2017. “With the festival and inviting so many foreign guests we also want to show that while we have hard-liners, most of our artists are not like this,” he added. Iranians often suffer from the image presented by “death-to-America” shouting hard-liners, an extremist view not shared by the majority of Iranians. 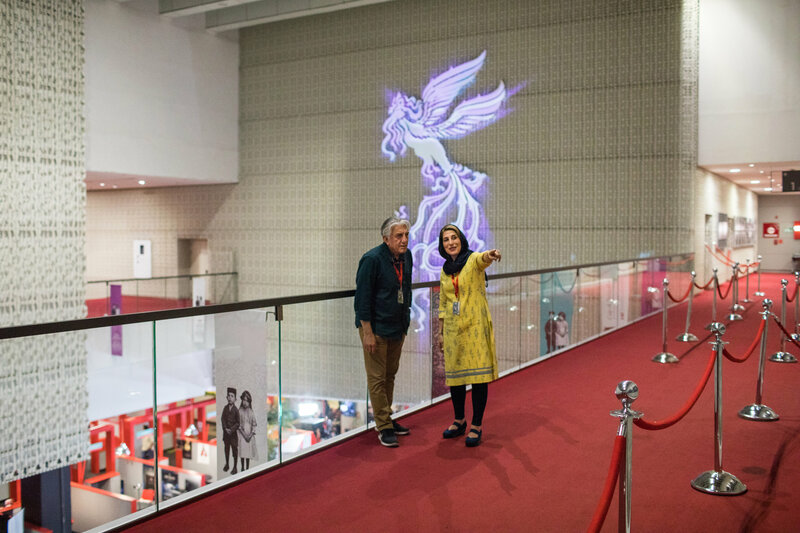 * * * Unlike Hollywood, where movie stars walk the red carpet and wave to their fans from behind velvet ropes, the stars of Iranian cinema mingled freely with ordinary people at the festival. Censorship was also a topic during a class in directing with Mr. Stone. 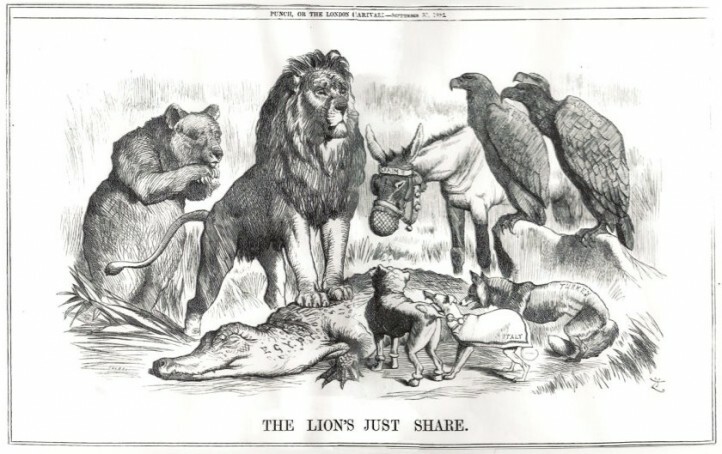 For many years, foreign guests were shunned. When the revolutionary ideology was at its stifling height, even the smallest criticism could offend one or another of Iran’s leaders. * * * But, he also cursed a lot, not something that would endear him to the clerics; he did so at least 17 times during the hourlong class, by my count. In Iran, where language in official meetings is poetic, flowery and indirect, the Iranian members of the Talent Campus, even the hipster ones, could not stop giggling when Mr. Stone used an expletive. How can all his movies be so critical of the United States, Nour Bahri, a 26-year-old filmmaker from Syria, wondered. “Are you perhaps secretly a part of their system?” she asked.